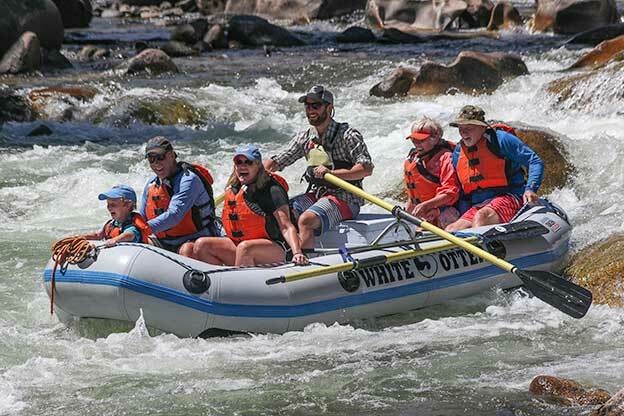 Are you looking for Class IV whitewater? White Otter can provide you with heart pumping excitement all day long! During high water you can experience the class IV rapids of “Shotgun” and “The Dam” along with many exciting class III rapids. 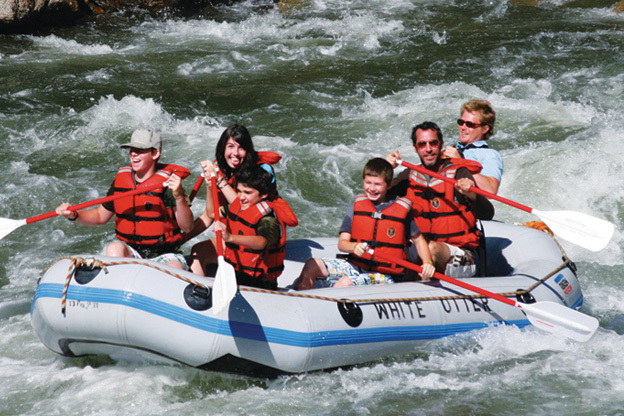 This is unparalleled excitement for whitewater lovers and thrill seekers alike. The Salmon River usually peaks here between April and mid June. We provide all the necessary gear (wetsuits, paddling jackets, booties, life jackets, and helmets) to keep our guests comfortable and safe. This trip is only for guests 14 years or older with a thirst for excitement. Trip availability and launch times are subject to change depending on current water flows. Lunch or Dinner can be added to this trip. We serve food to our guests Thursday through Sunday on the deck of the Sunbeam Café, overlooking the confluence of the Yankee Fork and Salmon Rivers. Come before and enjoy some fresh baked muffins and a coffee while your group gets ready, or sit in the sun, listening to the river and enjoy an incredible lunch or dinner. We put a lot of love in our food. It’s all local, organic, and sustainable and we have something for everyone. Click here to learn more about The Sunbeam Café and our love of good food! With our guide as your captain, grab a paddle and be part of the action! Sit back and relax while your guide does all the work. Thrill Seekers Trip – Early Season Class IV Excitement! May through June. Daily at 10:00am. *Would you like to reserve a different launch time? Call 208.788.5005 and we’ll try and accommodate your request.